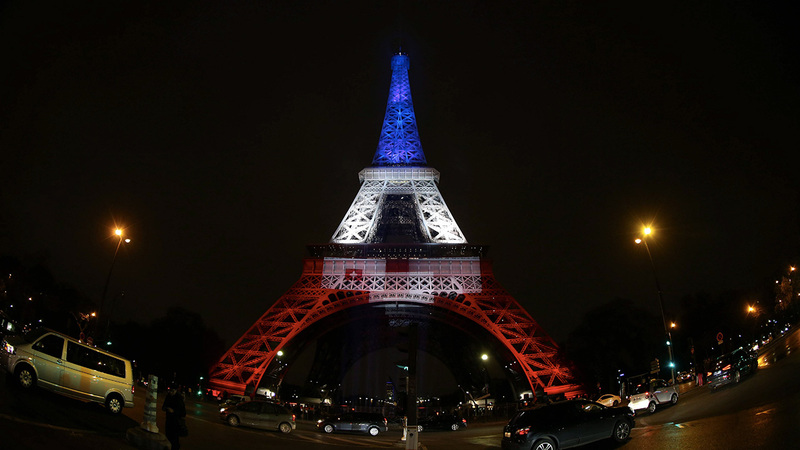 In the wake of the deadly attacks in Paris, landmarks and other sites around the world paid tribute in lights. People in more than 60 cities around the world used the French Tricolor of red, white and blue to express their support. 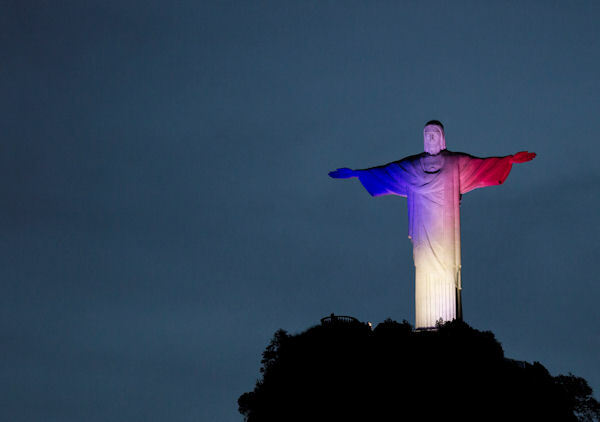 Christ the Redeemer statue is lit with the colors of France's flag, in solidarity with France after attacks in Paris, in Rio de Janeiro, Brazil, Saturday, Nov. 14, 2015. 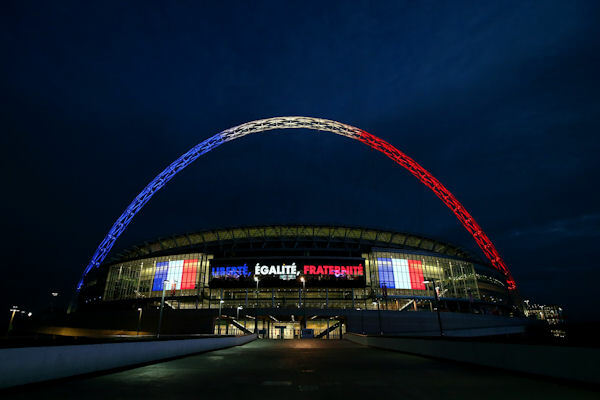 Wembley stadium is lit up in the French Tricolore prior to the France training session at Wembley Stadium on November 16, 2015 in London, England. 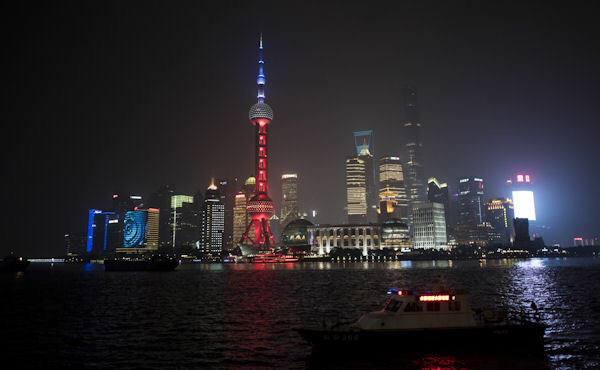 The Oriental Pearl TV Tower (C) in Shanghai, China, is lit in red, white and blue on November 14, 2015. 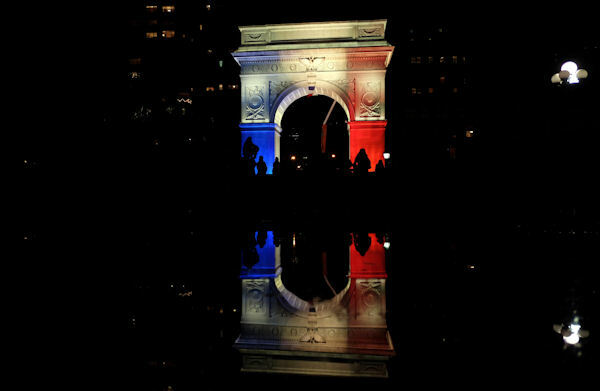 The Washington Square Park arch is lit with the French national colors in solidarity with the citizens of France on November 14, 2015 in New York. 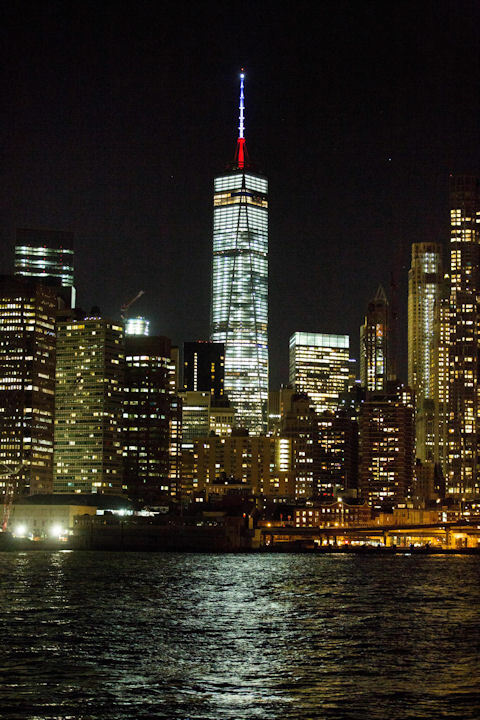 The One World Trade Center spire in New York City was lit blue, white and red in tribute to the victims of the Paris terror attacks. 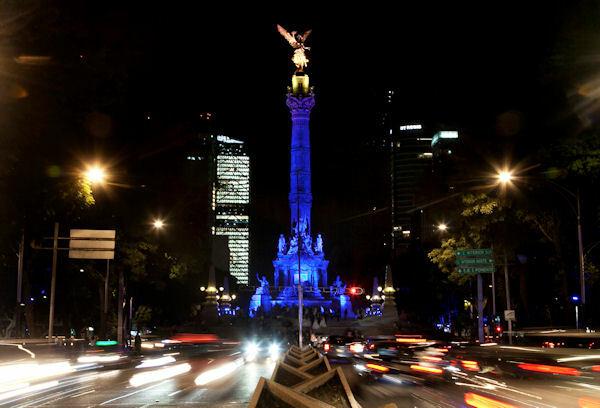 The iconic Angel of Independence monument is lit in the colors of the French flag in Mexico City, Saturday, Nov. 14, 2015. 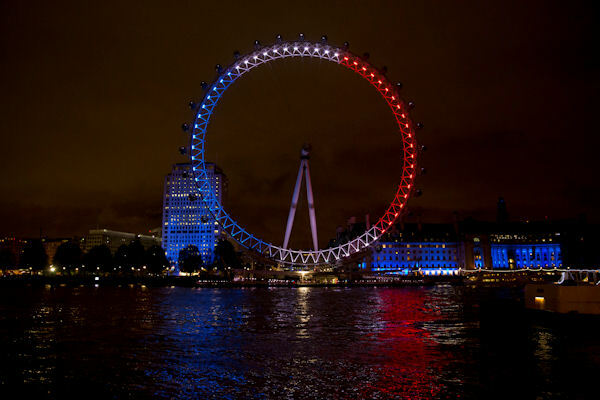 The London Eye ferris wheel is lit up in the colors of the French flag in solidarity with France after the deadly attacks in Paris, in London, Saturday, Nov. 14, 2015. 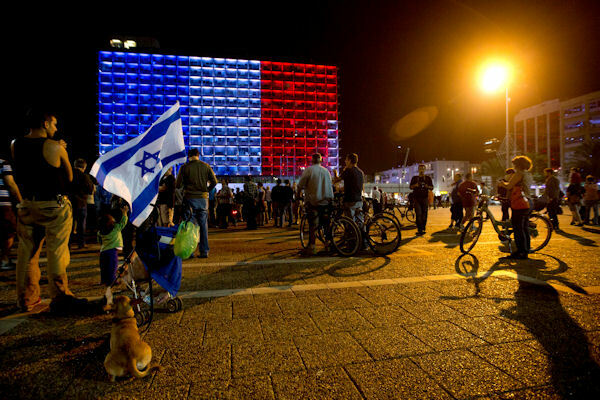 An Israeli holds a national flag during a rally in support of France in Rabin Square in Tel Aviv, Israel, Saturday, Nov. 14, 2015. 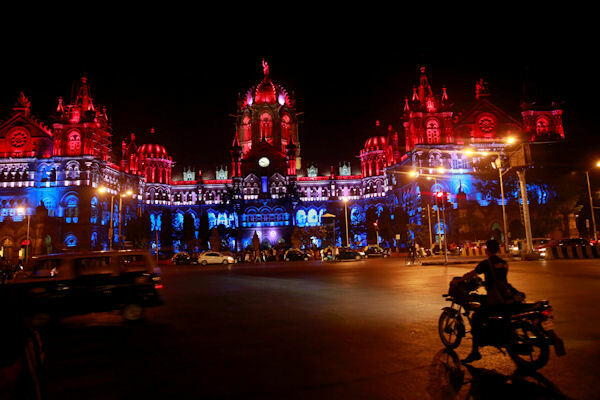 Mumbai's Chhatrapati Shivaji train station building, where 2008 terror attacks killed 166 people, is illuminated by the colors of the French national flag on Nov. 15, 2015. The support shown on major landmarks around the world inspired others to create their own tributes. Dan O'Sullivan, a photographer in Colorado, enlisted the help of hiker Sam Chambers to climb the Manitou Incline with colored light panels so he could create a breathtaking composite image in tribute. "The idea for the image came to me late Friday night when the full scale of what happened was becoming clear and when the first tribute in lights I had seen was the spire on One World Trade," O'Sullivan explained to ABC. "I wanted to add emphasis that terror attack victims and their fellow citizens are in the thoughts of people all around the world. I wanted it to not be only the big cities with iconic structures and built in lights but also iconic locations which could be still be lit with a bit of effort and time."